Cimarrone golf community in Jacksonville, Florida. 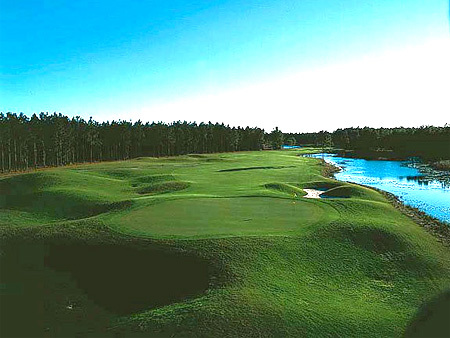 Cimarrone Golf & Country Club is conveniently located on CR 210 3 miles west off I-95 just 30 minutes from Jacksonville. Cimarrone features a semi-private 18-hole Championship course designed by renowned architect David Postlethwait. The community offers a variety of distinctive neighborhoods built by American Homebuilders and Cordele Builders. Cimarrone Golf & Country Club is located in St. Johns County, a unique place where important history, natural beauty and economic progress are friendly neighbors. With nearby beaches and waterways, preserved wetlands, eclectic shopping and dining, and easy access to downtown Jacksonville, it's no wonder St. Johns County is one of the First Coast's most desirable areas.